A SpaceX Falcon 9 lifts off for the GovSat 1 mission in January 2018. Photo: SpaceX. 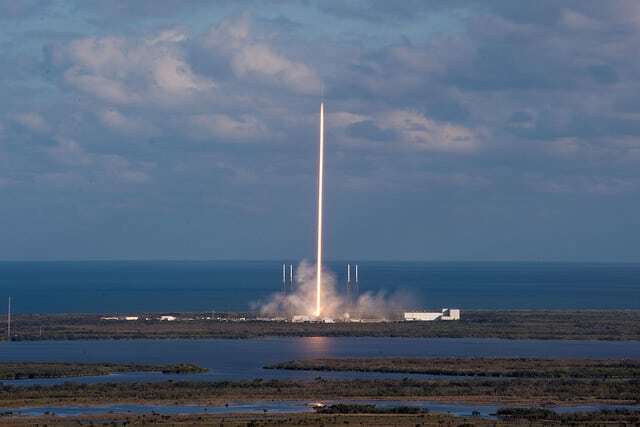 On Thursday, the Federal Communications Commission (FCC) granted SpaceX approval to provide broadband internet services with its planned constellation of Low Earth Orbit (LEO) nanosatellites. The constellation, called Starlink, will be comprised of 4,425 satellites using the Ka- and Ku-bands to deliver global internet connectivity from approximately 1,100 km above the Earth’s surface. SpaceX intends to begin the constellation’s launch campaign in 2019, after which it will require only 800 satellites to kick off its first commercial services. The authorization does however come with a caveat: SpaceX must orbit and operate at least half of its constellation within six years. The company initially requested the FCC waive the milestone requirement, hoping the agency would allow it to launch just 1,600 satellites in the same time frame. But the FCC denied this waiver request, stating it would give SpaceX “an unfair advantage” in the context of other planned LEO mega-constellations on the horizon. The company also has plans to launch a secondary constellation of 7,500 V-band satellites in Very Low Earth Orbit (VLEO), but this would require a separate license from the FCC. “In the future, these satellites will provide additional broadband capacity to the SpaceX system and further reduce latency where populations are heavily concentrated,” SpaceX Vice President of Satellite Government Affairs Patricia Cooper stated in Oct. 2017. SpaceX already orbited its first two Starlink prototypes, Tintin A and B, back in February. According to the FCC, the agency has approved requests by OneWeb, Space Norway and Telesat over the past year to provide broadband services using similar Non-Geostationary Earth Orbit (NGSO) satellite systems.